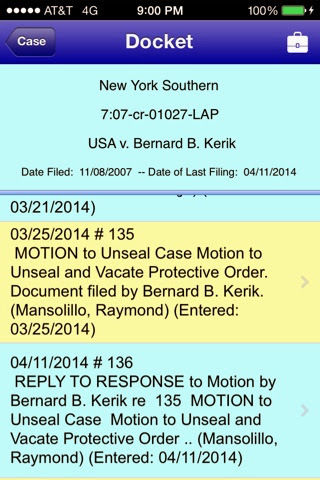 There is yet another motion toward the hari-kari madness and potential unraveling of the life of Fortunate Felon Bernie Kerik. 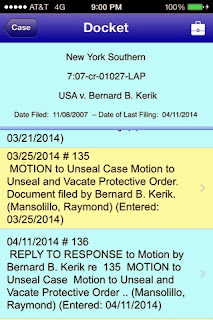 Federal court records, Southern District of NY show Kerik BFF & "better call Saul" attorney, Ray Mansolillo, filed a motion requesting a hearing on the matter of releasing the protective order sealing case records in the Fed case against Bernard Kerik. 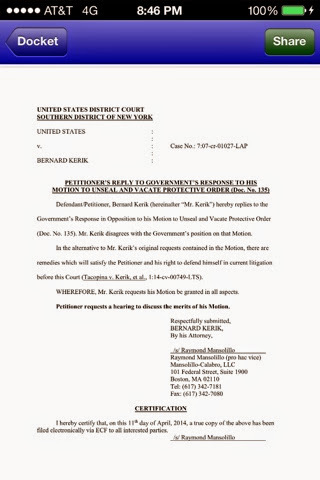 The Motion refers to that $5million defamation case against Kerik et al filed by his former BFF & successful attorney Joe Tacopina. Who knows what Bernie hopes to find in the Government's sealed file? 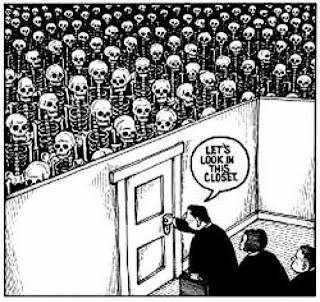 Legal speculation cautions all those skeletons marching out of Bernie's closet! Perhaps it's more "symbolism over substance" to offer the appearance of a vast government "persecution-prosecution" against "poor Bernie". Apparently these are the lengths Bernie must go to avoid admitting guilt, begging for mercy, getting a real job and moving toward a decent life. It's so much easier to pretend everyone else is wrong, flapping gums on justice reform, calling into Geraldo's local radio gig from his $2Million estate and giving...Ummm.. "interviews" (*cough*) to sweet pretty young reporters in random NYC skyscraper offices. (A Fortunate Daughter "interviewing" a Fortunate Philandering Felon. Can't make this stuff up) I mean, like, don't all convicted poor unemployed persecuted felons on probation do that? Skeletons in Bernie Kerik's closet?